This design offers a tailored cut with figure enhancing features including panelling to its structure and a cinching waist belt for maximum appeal! The design is single breasted with contrasting button cuffs to the sleeves, two front pockets and a smart tailored collar. The knee length cut with back split completes this practical and stylish design. 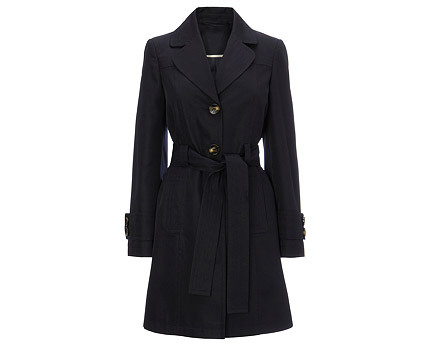 The trench coat is a must-have piece for all seasons that is always young and fresh! You’ll love the unmistakable timeless chic look! 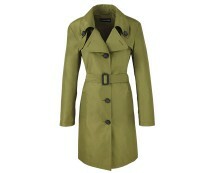 Trench coat in showerproof twill, 90% polyester, 10% polyamide.